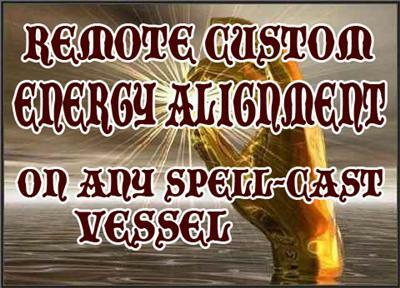 YOUR VESSEL CAN NOW BE CUSTOM ALIGNED TO YOUR AURA AND VIBRATIONS!!! BY Madam Crawley HERSELF! 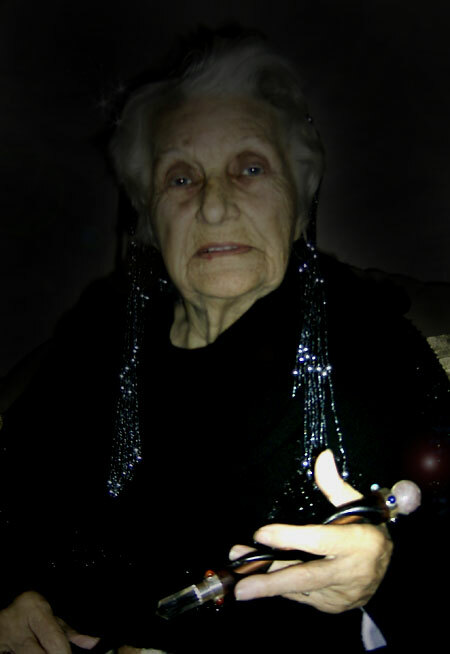 You now have this AMAZING option of Madam Crawley CUSTOM ALIGNING any of our Magickal Vessels to "fit you like a glove!" She will fully tune and align the spells to match your exact vibrations and aura. This Custom Alignment is of the highest caliber imaginable, and this extra little touch will send your Spells and Spirit Vessels into Turbo-Charged! A TOTAL FINE TUNING OF ENERGIES! The result will be FASTER Magick! This is completely exciting to me, and the first thing I did when I heard about this was send a whole SLEW of my own Magickals to her for Personalized Energy Alignment! This type of Personal Energy Alignment would cost a small fortune elsewhere. The Alignment is only $29.99. Basically a Give Away Price! Please note, Madam Crawley is very diligent and conscientious in her spell casting. She is offering this service as a "REMOTE" option which means it won't hold up the delivery of your item. 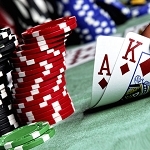 Plus, you can also choose to have it done later, or on previously purchased items. At checkout you will have the option to alter the "quantity" should you require an alignment for more than one item. Use the item title if possible. If not, give an accurate description of the Spells/Entities involved and the Vessel itself. There is nothing else required from your side; all the Spell-Casting is done remotely by Madam Crawley herself. You will be prompted to download a file after checkout. This is a certificate indicating that you have ordered a Personal Energy Alignment. WELCOME TO OUR MAGICKAL WORLD! One of the pictures we took during my recent visit with Madam Crawley in England. Please check our other items to learn all about who and what is going on here! My father who recently passed away was a treasure hunter, and Madam Elizabeth Crawley being a world class Medium has been asked to do readings on the pieces in my father's collection. Not only is she a medium but also the High Priestess at a very renowned Coven is Sussex, England. I've simply fallen in love with her. I've never met a more enlightened, generous and powerful lady in my whole life. She is very old physically, but treats life with so much joy and passion... She has truly taught me to see every day as a special miracle. As for me--I take very much pride in what I am doing, and I consider myself blessed to be acquainted with such important figures in the Wiccan community. I package all the items carefully and treat my customers with total respect. This is a very serious venture to me--I KNOW Magic is real as it has played an enormous role in my life. I wish to share with the world the bounty of Magick that is available to those who seek it. For those of you unfamiliar with Madam Elizabeth Crawley--she is considered among the inner Magickal Circles (especially in Europe) as the utmost authority on all things paranormal. She is also a profound and ultra-talented Spell Caster. Madam Crawley can cast POWERFUL spells for just about anything. 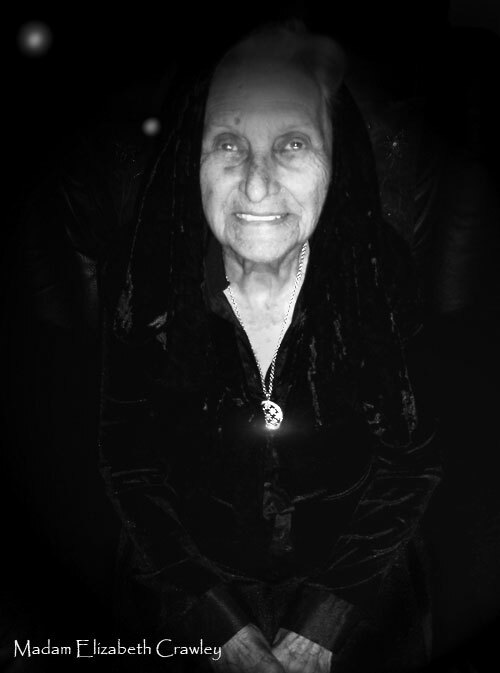 She is High Priestess of The Coven Of Union. Prior to Madam Crawley's assent to High Priestess, Mrs. McTavish held the position. Mrs. McTavish has since passed over, but we do have some of her Spell-Cast Vessels still available for interested Collectors. Our feedback and reputation has remained IMMACULATE over the 15 years we have been offering our services online! Every day I receive letters and emails from our happy customers telling us of huge lotto wins, massive business successes, loves won, boundaries broken, illnesses cured, and the list goes on and on and on!! I consider myself the luckiest girl in the world to be involved with this Magick and to be a vital instrument in getting this Magick to the right place. 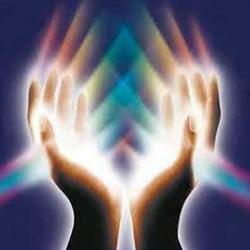 The Spells, Vessels and Customer Care you will receive are SUPERIOR!!! Our Customers are Chosen Ones. We know that Destiny has brought us together and you are of the utmost importance to us. This is why we go to all lengths to make sure you are thrilled and happy with your Magickals. We will do WHATEVER it takes! Madam Crawley & The Coven do not want to charge a lot for these spells as it is VITAL to share their Magick with the ordinary folk who need it the most. Many of these Vessels are DESTINY Pieces, and are already chosen for you by fate; they already lay in your destiny's path and are simply waiting for you to collect them. This is VERY EXCITING MAGICK & VERY EXCITING TIMES. AND I AM SO THRILLED THAT WE HAVE FOUND EACH OTHER. I've simply fallen in love with her with Madam Crawley and so will YOU. I've never met a more enlightened, generous and powerful lady in my whole life. Obviously she is very old, but treats life with so much joy and passion... She has truly taught me to see every day as a special miracle. I have personally been privileged enough to witness Madam Crawley Spell-Casting first hand--the love, care and concentration she puts into it is completely AWE-INSPIRING. 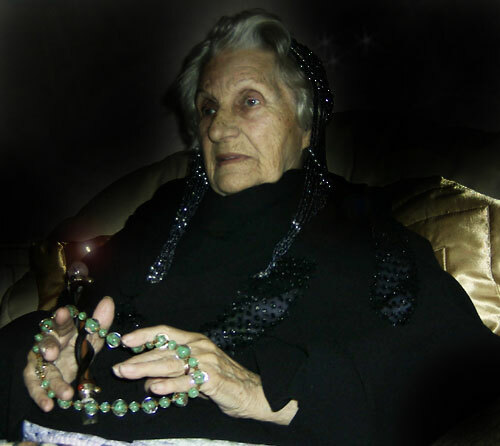 Madam Crawley is a Master at Lunar Phasing, Tarot, Herbs and all types of spell formations. She is a Medium, and Psychic, and a natural gifted and technically trained Witch. She HAS IT ALL! For so many years now I have witnessed and been the recipient of her WONDROUS MAGICK and I cannot express how honored, thrilled and completely MAGNETIZED I am by this BRILLIANT lady. I do just want to say there is much more information available on Madam Crawley if you look through our other listings as well. You will find many accounts, and incidents in these descriptions. It's just too much data for me to go through and compile for now, but please do read the listings; they are not just about the items, but also have a lot of valuable information in them. The Coven is always based in a rural part of England. It has recently been based in Norfolk, Suffolk, and Essex. The Coven moves occasionally to maintain secrecy of actual location. The name COVEN OF UNION is a pseudonym, to protect the identity of those witches who choose to remain anonymous. The Coven Of Union is the "hub" of Europe's underground society of Wiccan and Pagan Magickal Arts. This includes White Magick (Wiccan) and Gray Magick (Pagan). Neither of these branches are related to Black Magick. White Magick is the most pure and holistic form of Magick and has a beautiful settling effect on all who come in contact with it. 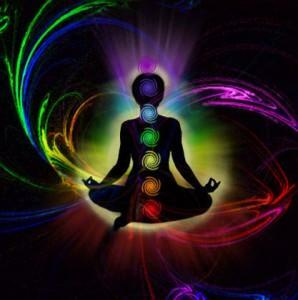 It cleanses and aligns energies holistically. White Magick uses the recipients own energies and aligns and guides those energies with the required patterns to achieve harmony and the intended outcome of the spell. Gray Magick is far older and more rare that White Magick. Pagan Magick originates thousands of years B.C. and was all but eradicated by the advent of Christianity. In the church's attempts to wipe out Paganism they took many of the Pagan Symbols and Deities and "Demonized" them. For instance the popular image of the Christian Devil is really a "Demonization" of the Pagan Horned God, Baphomet, who was not evil but a true Deity and worshiped for thousands of years as the male counterpart of the Mother Goddess. The Coven Of Union is comprised of The Top Thirteen most accomplished, revered and talented Witches in Europe. Together they practice Pagan Grey Magick & Wiccan White Magick. These are the most qualified, caring and fascinating women you could ever wish to meet. I have witnessed their wonders first-hand, and cannot even express how excited I am that they requested me to share their Magick with you. THIS IS A VERY SPECIAL TIME. For those of you unfamiliar with the coming of the New Age, it is also known as: The Golden Dawn. The world will be upturned, and everything will change. But don't fear, just remember, every time a door closes another one opens, and you'll be there, ready to walk through into the New Golden Age. YOUR TIME TO SHINE!! One of the pictures we took during my last visit with Madam Crawley in England. Please check our other listings to learn more! My father, now passed, was a treasure hunter, and Madam Crawley along with being an EXPERT SPELL-CASTER, is also a WORLD-CLASS MEDIUM. She has been asked to do readings on the pieces in my father's collection. I've simply fallen in love with Madam Crawley and you will, TOO! I've never met a more enlightened, generous and powerful lady in my whole life. She is VERY old, but treats life with so much joy and passion... She has truly taught me to see every day as a special miracle. Read a few of our AMAZING feedbacks! Most of our clientele are repeat customers. Please be sure to come back and leave us feedback. Thank you and Many Blessings! Your Personal Spirit Guide!! & Wings Of Wealth Spell!